Flores, Azores. Photo courtesy of Aldeia da Cuada. Need a hot summer vacation tip? A new, direct seasonal Delta flight from NYC to the subtropical Azores launches at the end of May. Take a long weekend and follow these recommendations for a cool and laid-back European island holiday. JFK AIRPORT - New Yorkers looking for a long weekend of laid-back island living coupled with rustic European charm can find it at the end of May, when Delta launches a seasonal flight route from NYC to Ponta Delgada in the Azores, the volcanic Portuguese archipelago in the Atlantic Ocean that we named one of the Top 10 Places to Travel in 2018. This will be the fastest route to the sunny, sandy side of Europe. A combination of old-world charm, new-world hospitality, rich gastronomic history, heritage wine making, Instagrammable design aesthetic, and affordability compared to the rest of Western Europe, have caused an uptick in travel to Portugal over the last several years. But the subtropical Azores, 850 miles off the coast of the Atlantic, are relatively, thankfully, untrodden. Each island has its own personality but all embrace agrarian lifestyle as noted by bucolic farmhouses, cow pastures, and wildflower fields. Locals like to mention that there are 240,000 human inhabitants and 300,000 cows (the happy kind). Elsewhere, rugged landscapes carved out by ancient volcanoes yield black sand beaches, crater lakes, geysers, and geothermal springs. There are lovely valley villages, towns hugging the coastal cliffs, and dolphins and whales swimming below. This is the Europe everyone wants to escape to during summer, but Americans on the Eastern Seaboard have easy access (besides the new route from JFK, there are also quick, direct flights from Boston and Providence). The local community, wary of becoming the next "new" destination (see: Cuba, Croatia, Iceland) and conscious about building an environmentally sustainable and socially tenable industry, has a tight grip on tourism: There are no international hotel chains, hotels cannot have more than 120 rooms, and there’s a cap on Airbnb rentals. That leaves plenty of room for the culinary adventurer and the wine-o, the athlete and outdoors(wo)man, and the culturally curious among us itching to hear the roar of the ocean and sweet lusophone sounds during a few well-earned days off. Cliffside at White. Photo courtesy of White. There are nine volcanic islands in the archipelago. These have the best hotel options. 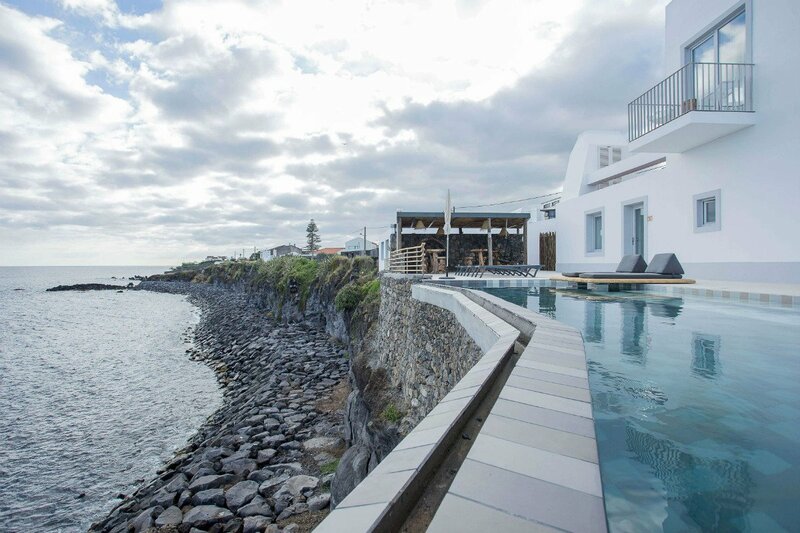 São Miguel: Azor Hotel is the island's sole Design Hotels member, located across Ponta Delgada marina. 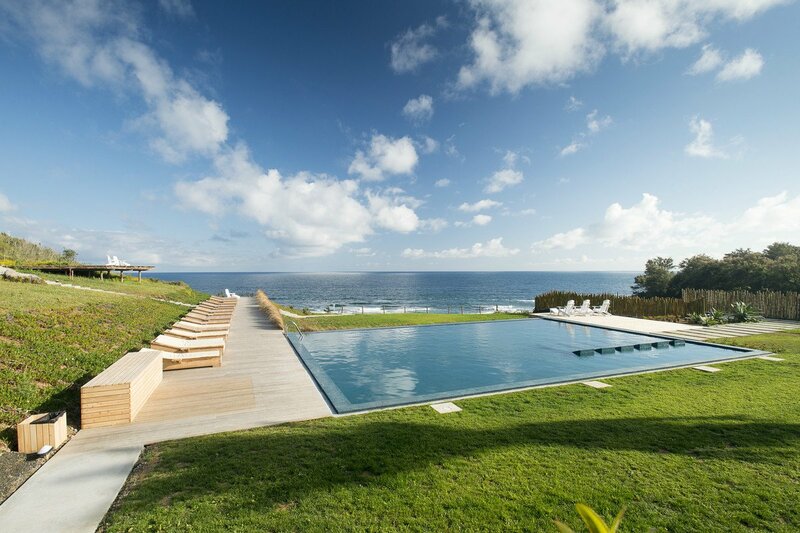 Pedras do Mar is new and “centered around well-being” with a sophisticated gym, sauna, and Turkish bath that offers chromotherapy. Santa Barbara Eco-Beach Resort takes its cues from nature and sources local fish and produce for its sushi bar, beach club, and cafe. White offers high-end suites and villas with of-the-moment decor (minimalist interiors, Dutch-inspired furniture, giant weavings). Pico: Pico do Refugio is a multi-generation tea farm (and, before that, a fortress for militias, artist's residence, and an orange tree plantation) with eight-private villas and an artist-in-residence program on a stunning, verdant property. 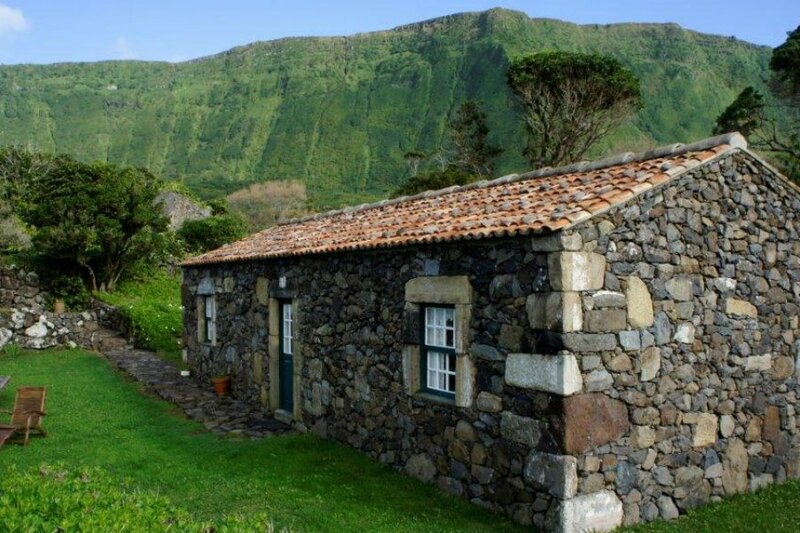 Flores: Aldeia da Cuada’s assembly of several centuries-old rustic stone houses have been refurbished for simple rural living. A main house offers daily breakfast and live Azorean music in the evenings. The pool and ocean view at Santa Barbara Eco-Beach Resort. Photo courtesy of Santa Barbara Eco-Beach Resort. Rent a (very small) car to get around. (The roads are narrow.) There are food markets, art centers, farm-to-table dining experiences, thermal pools, beaches, and lighthouses. Lesser-trodden islands like Faial and Pico have charcoal-colored lookout points on cliffs, restaurants serving fresh-caught tuna and volcanic wine, vintner villages, and lava caves that you can see in an easy day trip. You'll want to get comfortable with the ferry schedule. A cabin at Aldeia da Cuada. Photo courtesy of Aldeia da Cuada. Delta will start a seasonal route between JFK and the Azores on May 24, 2018, through September 2, 2018. It will operate five times weekly and is the only scheduled service between New York and the Azores’ largest city, Ponta Delgada. The new route will provide a convenient link for U.S. visitors to the islands. 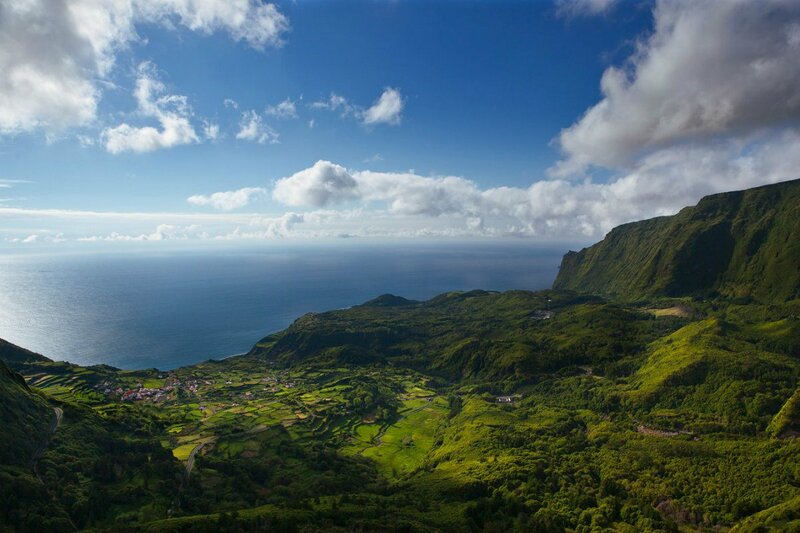 Travelers to the U.S. will land on Sao Miguel via Delta direct. Ryanair, which already flies to Sao Miguel, recently extended flights to the second-largest island, Terceria. It’s easy to maneuver between islands: Some can be accessed by a 20-minute ferry or an island-hopper flight ticket on the local airline. Young-gun operators Azores Adventures offers a nice range of air-inclusive packages to the islands, like this 5-night stay (in and out of JFK) and this 8-day stay (in and out of Boston). For something special and customized, email the Fathom Concierge to plan and book the trip for you.